So different were the lighter winds from the already-loaded flight guidance software that structural loads on Discovery’s 14L and 14R Wing Leading Edge panels would have exceeded flight safety standards because of the direction of the winds and their slow speed. Reprogramming Discovery’s computers would have taken two days – by which point the winds might have changed back to normal autumn patterns. As the count progressed, very minor improvements were seen to the winds, but they were still out of limits. But NASA – working with the Air Force weather squadron – had seen the wind issue coming, and in the overnight hours before launch, engineers had reexamined the wind limits with the profile Discovery was set to fly versus the Wing Leading Edge panel limits. In the reexamination, they discovered that the Wing Leading Edge panels were 1/10,000 times thicker than previously calculated. And that extra thickness gave a greater margin that actually brought the programmed flight profile and Wing Leading Edge stress very close but not quite into alignment with the observed winds on launch day. To that end, a waiver was taken and accepted to proceed with launch if the winds could come into alignment with the new calculations even though the Upper Level Winds were technically out of limits from the by-the-book Launch Commit Criteria standpoint. Still, even with the waiver and the revised guidelines, the Upper Level Winds would not meet those new criteria until 11:15 EDT when the Shuttle Weather Officer reported a “go” condition to the Launch Director. Overall, the wind issue resulted in a 1 hour 38 minute delay to the launch, with the team polling “Go” for launch and the clock resuming from T-9 minutes and holding at 11:28 EDT. 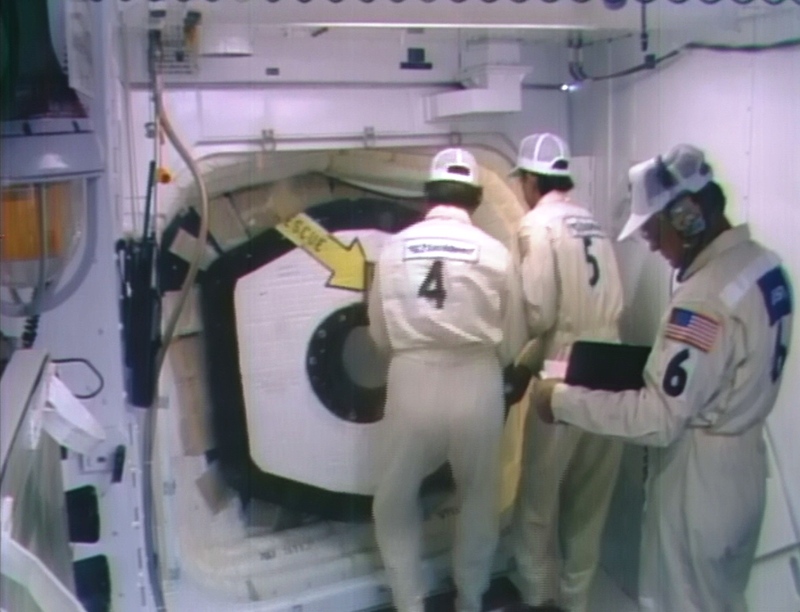 At T-2 minutes, the crew closed their visors and activated the oxygen flow into their suits. 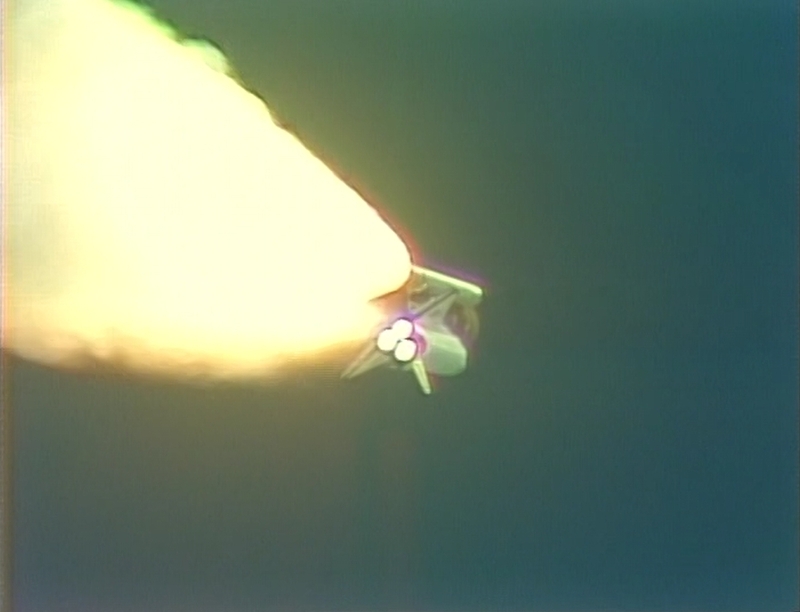 Doing so slightly increased the pressure in Discovery’s cabin, which tripped a Launch Commit Criteria violation and caused the Ground Launch Sequencer to issue a Hold request for the T-31 second mark. The launch team, however, was prepared for such a pressure change – which occurred when oxygen began flowing into the crew’s suits – and requested that the error be cleared and the count continue uninterrupted with no hold at T-31 seconds. 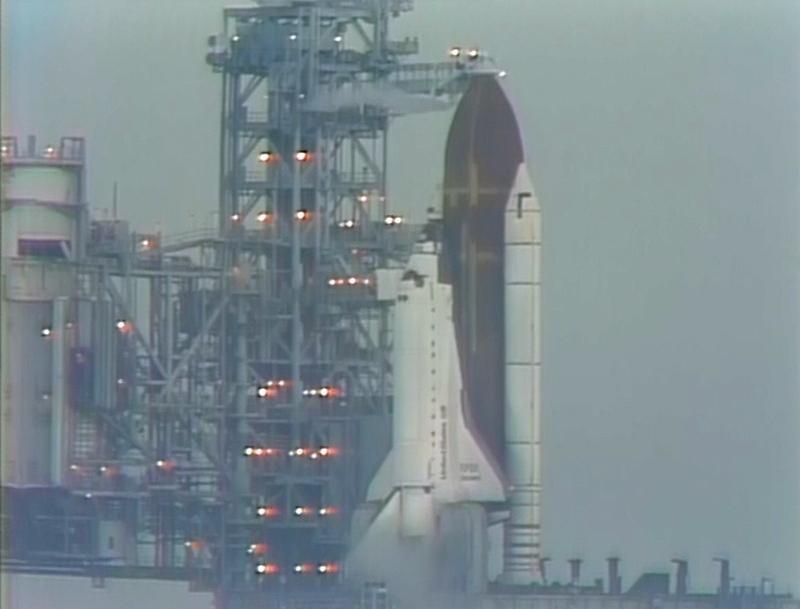 At 11:37:00 EDT on 29 September 1988, 976 days after the loss of Challenger (and one minute shy of Challenger’s exact launch time), Space Shuttle Discovery lifted off on her very first attempt on the STS-26 Return To Flight mission. The moment was met by cheers – heard clearly over the primary Public Affairs channel – from those gathered near the VAB and press site as Discovery rose from the pad and headed downrange from Kennedy. But unseen to those on the ground was an event that – ultimately – proved a stark reminder and harbinger of the fragility of the Orbiters’ Thermal Protection System (TPS). As Discovery climbed under the combined 7 million pounds of thrust of her SRBs and main engines, a 12-inch (0.3 m – or 1 foot) piece of cork insulation liberated from the forward field joint on the right-hand Solid Rocket Booster and impacted Discovery’s right wing. The impact caused damage to six of Discovery’s under wing TPS tiles. Of note, the very next flight would see the worst TPS damage to an Orbiter that would survive reentry when liberating ablative thermal coating from the right-hand SRB severely damaged over 700 tiles and completely destroyed one tile on Atlantis – leading to a partial melting of an exposed aluminium plate on Atlantis’ underbelly. That missing tile was located over the steel mounting plate for the L-band antenna, and that reinforcement is likely what prevented a burn-through and destruction of Atlantis and loss of her crew during reentry. For STS-26 and Return To Flight, the mission would suffer nine In-Flight Anomalies deemed serious enough to be flagged as “significant anomalies” – the SRB cork liberation and TPS tile damage among them. Nonetheless, the mission was a much needed success and largely restored confidence in the Shuttle Program and its management. On 3 October, Discovery gracefully touched down on Runway 17 at Edwards Air Force Base, California, coming to a stop at 12:37:57 EDT for a liftoff to wheels stop mission duration of 4 days 01 hour 00 minutes 57 seconds. Now, NASA finds itself on the precipice of a brand new world – buying human launch vehicles from commercial providers. Following retirement of the Space Shuttle fleet in July 2011, NASA embarked on a two-pronged path for human space exploration – developing their own heavy lift rocket and crew capsule (Orion) while funding and fostering the development of commercially built crew vehicles. The two providers, Boeing and SpaceX, have worked diligently alongside NASA, taking the agency’s hard learned lessons and applying them to a new fleet of vehicles that will carry astronauts from around the world primarily to the International Space Station for crew rotation operations. 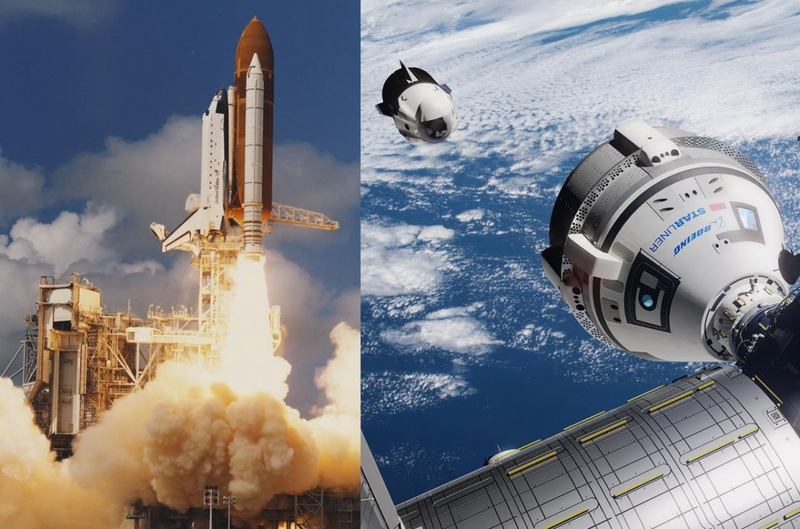 While the first crewed test flights for both Boeing’s Starliner and SpaceX’s Dragon are slated to take place next year, both companies – as well as NASA – are working to instill a culture of safety within the overall Commercial Crew Program and their respective vehicles. Critically, both providers announced last week at the American Institute of Aeronautics and Astronautics (AIAA) conference in Orlando, Florida, that their vehicles now meet NASA’s Loss Of Crew (LOC) requirement of 1 in 270, an all-important step toward ultimate certification of the vehicles. Importantly, much has been discussed in terms of the LOC analysis number, but at the AIAA conference, NASA’s Commercial Crew Program Director, Kathy Lueders, spoke to the significance of not relying solely on the LOC analytic to derive safety. “Having the LOC requirement has been a good tool for us. It’s been one of our multiple safety tools that we’ve used. And we’re happy to have a suite of tools,” noted Ms. Luders. When asked by NASASpaceflight for follow up, Ms. Luders responded, “Safety is one of NASA’s core values, and our commitment to safety is evident in what we do within the Commercial Crew Program. And it’s that 50 years of experience that is critical in the installation of the culture of safety within the two commercial crew providers as they bring their systems online. Analysis and probabilistic risk assessment might tell you it’s okay to fly where experience tells you to stop. And vise versa. 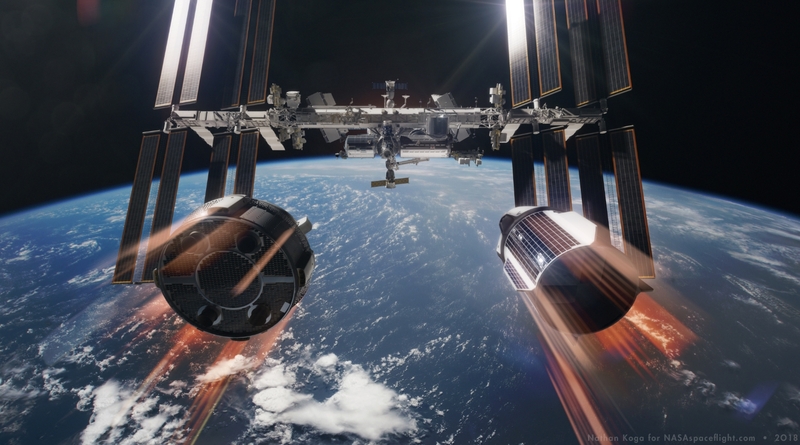 In a follow up to NASASpaceflight, Boeing stated, “According to our engineering models, our vehicle design will exceed NASA’s Loss of Crew and Loss of Mission probability requirements as specified in the contract. But that being said, even one fatality is unacceptable, regardless of number of flights or projections. “That’s why we continually work with NASA on our first and most important priority – safe crew transportation to and from the International Space Station. NASA personnel have been embedded with our teams throughout Starliner development, which has helped provide transparency to our customer as we keep safety first in all that we do on this program. Likewise, Benjamin Reed, Director of Commercial Crew Mission Management for SpaceX, stated, “We’re in a similar spot to where it’s been a good, ongoing iteration with the NASA people. Under the current plan, SpaceX will launch their uncrewed Demo-1 test flight in November 2018, quickly turning that Dragon capsule around for use on an in-flight abort test about 1 month prior to the crewed Demo-2 mission which is currently slated for April 2019 from LC-39A at the Kennedy Space Center. Likewise, Boeing is targeting their uncrewed Orbital Test Flight of Starliner for either late-2018 or early-2019 followed by their Crew Flight Test in mid-2019.